Following the success of volumes 1 & 2, we have put the Bakers back in to the environment they know the best, a darkened Analogue studio live room, poured large amounts of strong coffee down there necks and set them loose again. With a line up change in the rhythm department the guys are back with a more Raucous sound. Now sitting at the drums is Californian beat man Theodore Carrasco, who has added a different west coast funk flavor to proceedings, even bringing his special gold sparkle vintage kit for the occasion. Also this pack sees the inclusion of a classic Gem organ and Chris's monstrous Gibson Grabber bass adding another vibe not seen on the previous packs. Recorded on a recently serviced SSL desk and a heap of lovely vintage gear, the sound is bang on as authentic as you can get. The Baker Brothers have been rocking dance floors far and wide with their huge entertaining live show for over 10 years now and have toured Japan and Europe extensively delivering an explosive, killer funk show. With numerous releases under their collective belt the band are Currently in the studio working on their 8th album for the well respected Record Kicks label, having also just had an exclusive track released on the labels celebratory anniversary compilation. Proof of the quality of these players if needed, has to be the inclusion of their work into the Tarrentino Django soundtrack on the "Payback Untouchable" tune. During their career, The Bakers have sold out Soho's legendary Ronnie Scotts Club and have supported legends such as Sly and The Family Stone, Jools Holland and John Schofield. Their infectious, Raw Beats and Bass Lines underpin edgy Melodic Horns and Funky Guitars. Over their consistently prolific career so far they have gained critical acclaim by the likes of Mr Scruff, DJ Muro, Keb Darge, Florian Keller and The Roots. They have worked with guests such as Average White Band's Hamish Stewart, Vanessa Freeman of Reel People and UK percussion legend Snowboy. 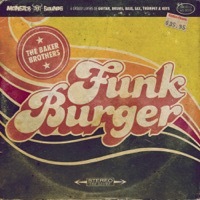 In this 100% Royalty Free Funk Sample release – The Baker Brothers have laid down some fantastic Funked Up Bass Lines, Keys, Horns, and Guitars in a truly spectacular collection that weighs in at 1.54GB. In detail expect to find 113 Bass Loops, 151 Drum Loops, 196 Guitar Loops, 94 Sax Loops, 105 Trumpet Loops, 95 Key Loops, 20 Percussion Loops, 5 Bass Multis (total 45 samples), 28 Drum Fills, 44 Drum Hits, 774 Rex2 Loops and 22 Soft Sampler Patches for NNXT, Halion, Kontakt, EXS24 and SFZ. The pack is also available in Apple Loops, Reason 5+ and Ableton Live 8.3.3+ to purchase separately. Producers of Funk, Hip Hop, Breaks, Cinematic and Downtempo styles will be amazed at the quality of these sounds, played by one of the tightest authentic funk outfits currently active today. 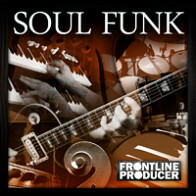 This is a huge collection of what we consider to be the best royalty free Funk Sample Library on the planet, so make sure you check out the demo, and don't miss out on the freshest most authentic funk samples currently available. - Zip(main) format includes Acidised Wav and Rex2 Loops - all single (non looping) sounds and Sampler Patches for Kontakt, Halion, NNXT, EXS24 soft samplers. - Apple Loops format includes Apple Loops and Rex2 Loops - all single (non looping) sounds and Sampler Patches for Kontakt, Halion, NNXT, EXS24 soft samplers. 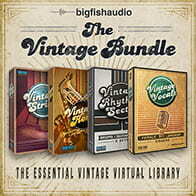 - Reason Refill format includes Wav and Rex2 Loops - all single (non looping) sounds and Sampler Patches NNXT and Kong. Comes as an .rfl compressed file only for use within Propellerheads Reason. - Ableton Live Pack format includes Pre Warped Wav Loops and Rex2 Loops - all single (non looping) sounds and Sampler Patches for Ableton Sampler. Comes as a .Alp File only for use within Ableton Live. - Wav Loop Pack format includes Acidised Wav loop content only. - One Shots & Sampler Patches format includes all single (non looping) sounds and Sampler Patches for Kontakt, Halion, NNXT, EXS24 soft samplers. - If in doubt we recommend you purchase the Zip(main) format which is usable with nearly all music applications and software. 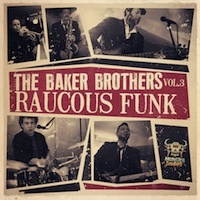 The Following End User License Agreement is included with Baker Brothers Vol.3 - Raucous Funk. This License is only valid for the individual who has purchased an unopened, new and lawfully made copy of Baker Brothers Vol.3 - Raucous Funk from a dealer or distributor authorized by Big Fish Audio. A full trunk of Funk!